There are many benefits to replacing your windows, namely that you will have a more energy-efficient home. So, no more blasting the air conditioner during summer heatwaves or cranking up the heat during a sudden cold front. Instead, you’ll have a reduced need to run your HVAC system at a high level, leading to a more comfortable indoor temperature and possibly even lower energy bills. And, what company should you to turn to for a window replacement at your house in Pensacola, Florida? Majors Home Improvement, one of the leading window installers in the area. We install our own line of windows, called Majors Select™ Vinyl Windows. These windows are energy efficient, durable, and available in a number of beautiful styles. Our craftsmen are factory trained and adhere to the industry standard when installing our windows. They are also problem solvers who will bend over backward to fix any problems that arise while installing your windows. We back our windows with a double lifetime warranty as proof that we stand behind our products and installation service. This warranty covers both the materials and the workmanship. 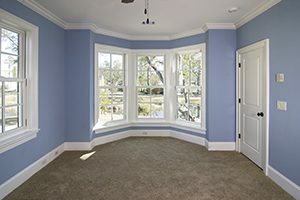 Is it time for new windows at your house in Pensacola, FL? If so, turn to the window replacement pros at Majors Home Improvement. Simply contact us today and one of our knowledgeable associates can set up a complimentary in-home consultation at your convenience.